Photographers all look the same on the web. What makes you different? For a 100% unbiased answer to this question, just google “iain and jo reviews” and read what our couples have written about us. Often the photos themselves are only a small part of the review. Our pictures are all about capturing personality and relationships, and not about star jumps or weird poses (although we’ll teach you some simple tricks to look great in the more formal photos too). One thing you might notice on our website is that everybody looks calm, relaxed and natural. That’s no coincidence – it comes from the time we spend with our couples before we photograph them, Iain’s calm, smiley personality and also the sneaky tricks he uses when he’s shooting to get you focused on each other and not on the camera. We’re a bit slow. Rather than saying “everybody laugh now” and quickly taking a photo, we’re always looking for the real, genuine laughs, smiles and other expressions which can take a little longer to brew. But it’s worth spending a little extra time to capture something real, right? For example, we might quiz your bridal party about the two of you or ask you both to make up a series of silly new names for each other, and then step back and capture the fallout! All of that takes longer than “everybody laugh now”, but we’d rather give you a smaller number of meaningful pictures than a big pile of unremarkable ones. Jo. Every photographer should have a Jo, she doesn’t take any pictures but if you read our reviews, you’ll notice that most of them are about her. Aside from being your “extra bridesmaid” on the wedding day, she’ll also interview you both before the wedding, and the little golden nuggets of info she extracts from you on the phone are the secret sauce in our photography. Imagine the difference between a photo where you’ve been told to smile versus one where we’ve just quoted something lovely your husband told us about you. Albums. We’re not the only photographers to make albums, and we’re not the only ones to use Queensberry either, but I don’t know of anybody who invests the same amount of time into designing their albums or refining those designs with their couples. We believe that everybody deserves an album, so all of our packages include one. Queensberry was an easy choice, because we honestly think that they make the world’s best albums, and you’re only doing this once, so we want you to have the best. We’ll take the stress out of your day long before it even starts. Right from our first meeting, we’ll guide you on scheduling your day to remove the stress from it. This helps you get great photos, but it also makes for a much more enjoyable wedding day too. Jo is your extra bridesmaid and our lighting assistant, spending about half of her time helping you feel great and the other half helping you look great! She’ll ensure that your family photos are as smooth and organised as possible, so that no photos are missed and none of your time is wasted on unplanned extras that you don’t want. During the shoot, she’s our second pair of eyes to make sure that that the dress looks it’s best and a timekeeper so that you don’t have to worry about the time. bottle-fed babies so that their mums (usually bridesmaids) can be in photos. She actually kinda likes that job! She was also a journalist for ten years before joining the studio full time, interviewing politicians, actors, musicians, inventors and everybody in between. These days, she interviews our couples to find the heart of your story and help us bring it to life in your photos. This could be anything from your mate who has a nice camera through to somebody with a day-job who shoots weddings on the weekends. Honestly, I understand that having the wedding photographed just isn’t a huge priority for some people, in which case it’s smarter to pick somebody in this budget category than not to have any photos at all. If this is you, I’m not going to try to convince you to book us, but I will point out a few good questions to ask before the wedding so that you clearly understand what you’re paying for and what you can expect for that price. The price is lower primarily because the photographer is either relatively new to weddings or is doing it part-time and doesn’t feel confident charging professional-level prices yet in case something goes wrong. A lot of photographers in this category have good equipment, but many haven’t yet invested in backup equipment. As an example, we bring approximately $7000 worth of backup gear. We’ve seen even the best equipment have tantrums from time to time, and we know that our couples are paying enough to expect us to have backup plans to minimise those risks. It’s probably not fair to expect a budget photographer to do the same. If their photography studio isn’t their main source of income, it’s reasonable to ask what the other source of income is so that you can be confident that your wedding will be their top priority when the time comes – if they have erratic rosters, work travel or emergency on-call obligations, you deserve to know about it and you should have a really clear understanding of the backup plan. Lastly, I’d recommend asking to see examples of pictures taken in difficult conditions (e.g., low light levels, rain, fast-paced moments etc) so that you can be confident of their skills if things get a bit tricky on the day. be able to help you through a “bridezilla moment” if you need one! Like all industries, we have our rockstars. They photograph the rich and famous and become minor celebrities in their own right. At this level you should expect everything an experienced, full-time professional can do for you, but you’re also paying a premium to essentially be a famous artist’s muse for a day. We’ve strapped a camera around Jo’s neck a few times in the past, but always found that it just distracts her from everything else she’d normally be doing for you. Just as the best wedding videographers focus on what they do best, we believe in doing one thing extremely well. By focusing on still photography only, we can specialise in capturing individual moments within the chaos, editing your images beautifully and presenting them in world-class albums and frames. Although photography and videography use similar equipment, they require a very different way of thinking and of looking at a scene. We get that a combined video and photography package would look great on an ad, but we also know that we couldn’t do as good a job on your photography if we spent half our time thinking about video and audio. When we thought it about it like that, the decision wasn’t very hard at all. If video is important to you, we can recommend some great videographers to fit a range of budgets, and if you’d prefer to find your own we’re also happy to load you up with a few questions to ask to make sure they’re a good match for you. Can you do an engagement session for us? Absolutely. We love engagement sessions almost more than weddings, and you can read why over on the blog here. Do you have a “files only” package? We did have one, but we changed it’s name to “Laura” and put a simple-but-gorgeous Queensberry album in it. The cost of that album now comes straight out of our pockets but it’s the best decision we ever made. You can choose not to have the album, but because we didn’t put the price up when we added the album, we can’t put the price down for taking it out, sorry. It happened one slightly-sleepy Sunday after a massive wedding, when Jo and I were talking about the previous clients that we’d bumped into the day before (their recommendation was actually the reason that we’d been hired, because they’re an awesome pair of humans). They told us they’d been planning to design their own album for FIVE YEARS and hadn’t gotten around to it! Sadly, they were kinda resigned to the fact that life had gotten in the way and the album would never happen now. The thing is, they weren’t the first couple to tell us the same story. After years of shooting weddings, we know from experience that if you don’t get an album at the time, it’s about as likely to actually happen as the other things currently sitting on the very bottom of your long-and-growing “to do one day” list. 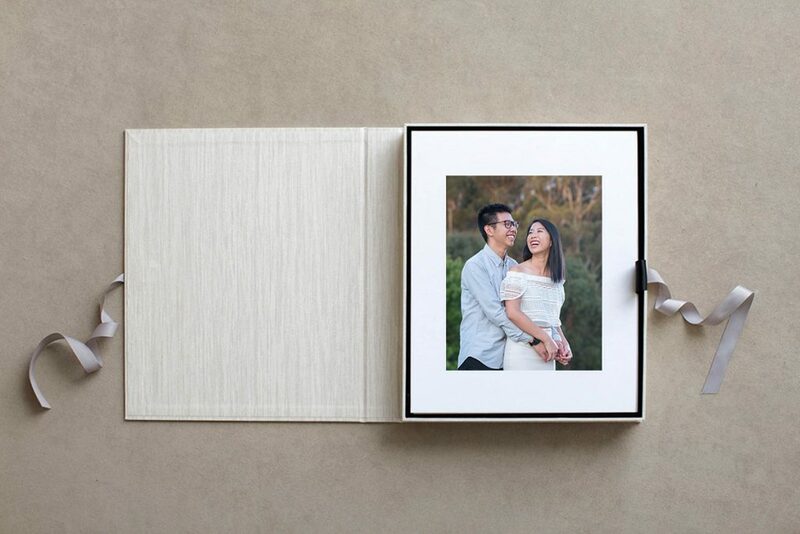 When you do get a moment to relax, we want you to be able to spend it enjoying your beautiful wedding album together rather than looking through your files as a chore to get them turned into an album design. We believe that every couple deserves an album and if you’re paying us to photograph your wedding, we feel responsible for finishing the job and creating the beautiful album we know we can make for you. So, rather than trying to convince you that you deserve an album, we decided to show you by giving one to you. Enjoy! Where are the best photo locations in Melbourne? Melbourne’s a beautiful city to get married in, with lots of options for photos. What started as a short FAQ answer got a bit too long to fit here, so we wrote a whole blog post about it. I hope it helps! How much time do photos take on the day? Firstly, I should tell you that when we meet to discuss your wedding plans, we’ll create a personalised schedule for you, which means you don’t really need to think about a lot of the stuff described below. If you’re eager to start planning though, hopefully this helps. Please note: If you’ve got a large bridal party, any mobility issues (e.g., disabilities, injuries etc), young kids involved in the wedding or if you just think things might run a bit late, you should allow extra time on top of what’s described below. Before the ceremony: To capture details such as the rings, flowers, cufflinks etc, a few portraits of each of you and the special people you’ve chosen to help you prepare for the wedding, as well as to capture a sense of the atmosphere and the action in the leadup to the ceremony, we suggest a minimum of 45 minutes at the groom’s house and 60 at the bride’s, plus another 30 minutes if you’d like us to photograph the dress before you put it on (we’ll spend a big chunk of this time finding somewhere special to set the shot up). We’ll plan to arrive at your ceremony 30 minutes before the start, partly to photograph the action as it builds up to the ceremony but also to reduce the risk of either us or you being late (because you’ll have an extra 30 minutes to get to the ceremony location). Travel time: If you get a few extra red lights or a bit of traffic on the day, it shouldn’t have a big impact on the day. Here’s the rule we use to make sure of that. If Google Maps suggests less than 20 minutes, we add 10 as buffer, and if Google’s guess is more than 20 minutes, we add 50%. After the ceremony: A lot of couples and even some venues overlook this part of the day in their schedules. When your ceremony finishes, the people who love you most in this world are going to be happy for you, so we don’t like the idea of tearing you away from them too quickly. You’ll probably only need ten minutes, but it might be the most special ten minutes of your day. Then we’ll get to work on the formal family photos with your parents, siblings, nieces, nephews etc. We’ll have planned these with you beforehand so that it’s all smooth and efficient. For most weddings, 30 minutes is a good amount of time for celebrations and family photos combined, which helps to ensure that your smiles don’t have time to completely wear out! The photo shoot: This depends entirely on how many locations you want to get to, but we recommend a minimum of one hour plus travel time. With any less than that you’ll feel a bit rushed, and that feeling makes it much harder to relax and be yourselves in the pictures. Reception: We don’t really have a rule for reception coverage. Some couples want us there until the very end while others only want us to capture a few details of the room and the cake. It will depend a bit on your package and what you’re expecting to happen at the reception, but we’ll help you get this balance just right. Can we have photos together before the ceremony? Yes, definitely. This can be a great idea, and when we meet with you we’ll help you decide whether it fits well with your wedding. Whether you have photos before or after the ceremony, we don’t want you to miss out on that moment when you first see each other. We call it a “first look”, and without choreographing the moment, we’ll make sure that it happens somewhere private and that we’re ready to capture it for you. We’ve spoken to all of the couples we’ve photographed before their ceremony to get their perspective and put together a list of pros and cons for you. Your guests won’t be complaining that you deserted them for four hours of photos in between the ceremony and reception! Either way, there’ll be a moment when you turn a corner and see somebody standing there ready to commit the rest of their life to you. I’ll never forget that moment from our own wedding. The only main difference is that your moment will be private, to be shared only between two people (and us, but trust me, you’ll forget the camera pretty quickly). Some couples even prepare private vows to share in that moment, where their words don’t need to be written for a public audience. Some of the most beautiful things we’ve ever photographed have happened in moments exactly like this. Lots of couples tell us that they don’t even remember their ceremony because it was such an emotional time. If you’ve seen each other earlier in the day, you’ll have experienced those emotions during the photos and will be able to look up and soak everything in during the ceremony. If you or your family are quite traditional, you may decide that you’d like to schedule the day the same way your parents did, and there’s absolutely nothing wrong with doing that. If you’re uncomfortable in front of cameras normally, the high that comes with your wedding ceremony and being “just married” might mean that your pictures have more personality and emotion in them than they would earlier in the day when you’re feeling nervous and distracted. A good way to test this out is to have an engagement portrait session before you finalise the wedding-day schedule. There’s a chance that you’ll get some dirt on the dress, wind in your hair or tears and kisses on your perfect makeup. We can guide you towards photo locations where this is less of a problem, but you should only have photos before the ceremony if you’re either a) happy to accept some risk to your dress and makeup and able to put it out of your mind and focus on the person you’re marrying, or b) able to have somebody touch up your hair and makeup before the ceremony. When we meet to discuss your wedding plans, we can put together two versions of the schedule and have a chat about the options to see if we can help. Your favourite people in the world can be 100% present in the moment during your ceremony. There’s just no question that your guests will feel more emotionally connected to what’s happening in front of them if they’re not focused on trying to capture it, choosing the right insta filter or moving around to get the best angle. You’ll be able to see your guests faces on the day and also in your photos. Some of our favourite ceremony photos have been taken of the reactions of family and friends, so it’s really sad when we can’t see or capture those reactions for you because they’re hidden behind a big ipad. You can announce your marriage on social media with one great photo before it’s flooded with photos from everybody else, many of which might have been shot from unflattering angles or in bad light. If that all sounds good to you, the next thing to consider is how to present the idea in a way that your guests will understand. Some of your guests will be disappointed not to be able to take pictures during the ceremony, so let them know that the reason you’re asking is because you want to be able to see their face and experience the event, in the moment, together. A quick google of the words “unplugged wedding wording” or “unplugged wedding sign” will give you lots of ideas on how to word it politely and lovingly. Here’s one that we liked: “We invite you to be fully present during our ceremony by turning off your phones and cameras. We promise to share all of the photos from this very special day”. If you put that in the invitation, a lawn-sign at the ceremony and then also ask your celebrant or priest to ask guests to turn off their phones and cameras for the ceremony, that should do the trick! Like our wedding albums, our portrait and parent albums are made by the brilliant people over at Queensberry in New Zealand. We use them because we genuinely believe that they’re the world’s best album-makers. The covers are gorgeous, the prints are rich, crisp and perfect and the workmanship is like nothing we’ve seen anywhere else. Guestbook. Lots of our couples choose a guestbook for their wedding reception, containing a mix of their favourite engagement photos as well as some blank pages for their friends and family to fill in with lovely words. Parent albums. Thank Mum and Dad for everything they’ve done, by designing a custom album filled with their favourite images from the wedding day. Story albums. 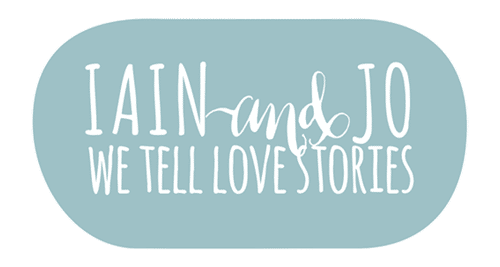 By the time you get to your wedding or even your engagement session, the odds are good that Jo will have tricked you into saying some lovely things about each other. Why not incorporate some of those beautiful quotes alongside your photos (subtly of course) in an album that literally tells your story? 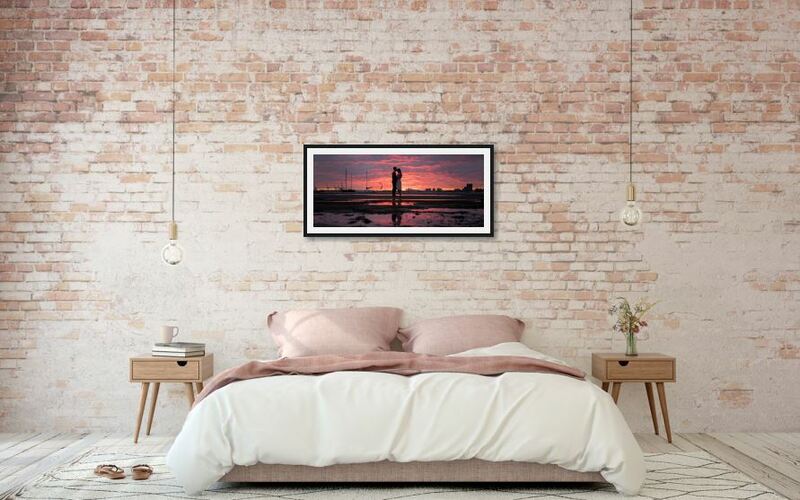 A great way to get lots of your favourite images, or to complement the images in your wall design, is to create a Coffee Table Collection, containing a set of mounted prints. Individual prints are available from $145 each, or in collections with a keepsake box for $690 (Six prints), $990 (Ten prints) or $1590 (Twenty prints). We’ve got a huge range of options for your wall, with prices from $390 to $1150 for framed prints or canvases, finished and ready to hang. If you’d prefer a series of smaller prints rather than one huge one, we’ve created a whole lot of wall layout designs starting with three prints for $1170, with lots of goodies like matching digital files included for free. They’re very popular, and also quite complicated because there are so many designs so I won’t try to list out all of the options here. We’ve also got collages and panoramic prints ranging from $690 to $1150, and much more. Absolutely. The files for you wedding day images are included in every one of our wedding packages, and engagement session files are available for purchase. We really specialise in creating beautiful printed products for your home, and although our USB boxes are pretty, we’d love to hand over some gorgeous frames or an album with your USB box. Our personal preference doesn’t have to be yours, but we promise we’ll tempt you and try to change your mind! The best way is to choose your other products first, so that you can take advantage of the discounted digital files that come with them. For example, with any wall collection (i.e., set of 3 or more frames) you’ll receive free matching full-resolution image files for each of your prints and any others you choose are discounted to $115 each. With any collection of mounted prints, a $400 upgrade gets you a matching set of digital files, whether there are 6 images or 60 in your box. With any print purchase at all, we can provide a “Social Media File”, which is a smaller file with a subtle watermark, at no extra cost. Lastly, image files can be purchase individually for $225 each. How can our families get some photos? Parent albums. We have two styles of albums for parents. They can either choose a copy of your own album with various sizes available starting from $590. 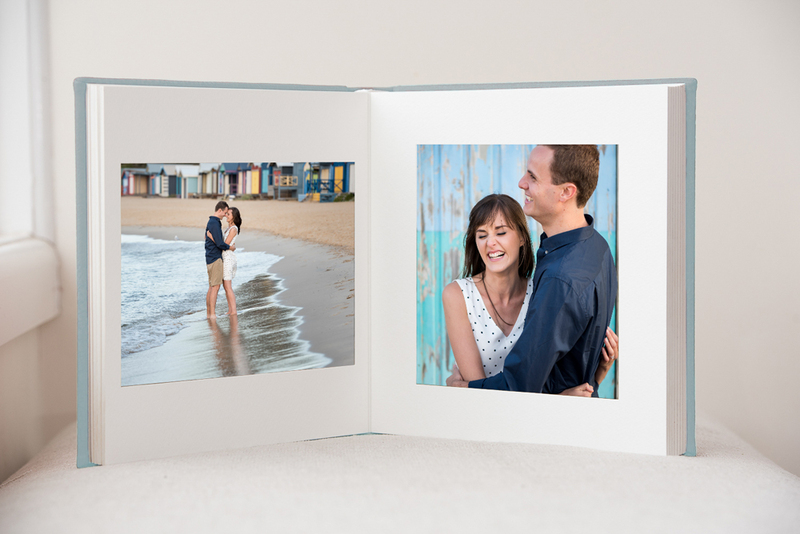 Most parents tell us that they’d prefer to choose their favourite photos for the album, so we can design a custom Queensberry album for them, starting at only $690 – there are less photos in these albums, but they’re much bigger and because your mum and dad are in control of the design, the end result is something really special. Wall prints. There’s a huge range of options for walls, with framed prints starting at $390. All of our framed prints are guaranteed for 10 years, which we can do because we use expert framers and high quality products designed to last far longer than that. Mounted prints. Smaller, mounted prints, ready to frame or display on an easel in your parents home are available in two sizes. Prices start at $145 and come down as you order more of them. How do I choose my favourites for the album? You’ll have hundreds of pictures to choose from, but the good news is that we’ll do the most difficult step for you and present the best images in an album draft. From there, you’ll have complete control over the final selection with Iain sitting with you to guide you from the draft right through to the final, approved design. We do it that way because we think it gives you the best balance between utilising our experience and being able to really make the album uniquely yours. Can our photos be kept private? Yes, of course. Most of our couples want to show off their photos online and for us to show them off too, but if this isn’t you, that’s absolutely ok. Some of our all-time favourite photos aren’t on this website, and although we’d of course love to share them, we absolutely respect the privacy of the lovely people in them. Just let us know, we’ll have a chat about the level of privacy you need and what sharing you’d like (if any) of the photos, and we’ll make it happen. For example, you might still like us to write a blog post but to password-protect it for you, you might be happy to have photos without your faces in them on social media, or you may just not want any photos shared online at all. Either way, your file will be marked in big capital letters so that we can’t easily forget our privacy chat, and the photos will be archived separately to our ‘shareable’ image library so that no pictures can accidentally be used in the website or any of our other marketing. The editing of your photos starts the day after the wedding, in most cases even if this is a Sunday. If we’re doing a blog post for you, it’s always posted within ten days and usually much faster than that. We can have the full set of images colour-corrected and a draft album design, and be ready to sit down with you to create our album masterpiece together any time from 2 weeks after your wedding date. After that meeting, any wall art you’ve ordered will be ready within four weeks, but the production of the album can take 10-14 weeks because of the hand-made components and the manual quality checks both at our studio and at Queensberry before your beautiful album is ready for delivery. How “photoshopped” will the pictures be? Every image on your USB will be colour-corrected and individually reviewed for sharpness, contrast, brightness and other general editing before you see them. When we meet to finalise your album design, you can request additional editing of the images you select for your album or wall prints. These are your favourite images, so it makes sense to spend more time getting them perfect for you, and the edits we apply for your album will also appear on your USB. The images we capture are really about moments and relationships rather than the textureless skin and contorted bodies that fashion magazines use photoshop so famously for. We have a full-time image editor who can perform almost any edit at your request, and in almost all cases this service can be included in your order for free. Our personal preference is that the images are kept as natural as possible, but whatever your preference is, we’ll guide you through this decision at your Album Design Session. Do you have a question that’s not covered here? Just call us on 03 8824 9868 or email us and ask away!